I love traveling in off-season. High season travelers and summer vacationers are gone. Back to school and back to work, which means better travel opportunities for me and you. Off-season is when crowds disappear and prices drop, as hotels, tour operators and airlines look to attract travelers with deep discounts. Granted, it’s not the low season for nothing. In Costa Rica, it is rainy season … but, after all, if you are going to visit a rainforest or a cloud forest, you should expect some rain and clouds! The positive side of Costa Rica in “green season” is that the rain creates lush green landscapes, rushing rivers (think: whitewater rafting! ), and a cool respite from the blazing hot tropical sun. Mornings during “green season” are almost always sunny, and some days it may not rain at all. So, if you’ve been saving up those vacation days, now is the best time to visit Costa Rica. Lower prices and special offers. More relax time. Enjoy Costa Rica at a local’s pace. Use that afternoon rain for a hammock snooze! Lower airline fares; or use your frequent-flier miles for greater savings than in high season. If you’re flying into Costa Rica’s main international airport, Juan Santamaria, in the San Jose metropolitan area, you’ll probably need a place to stay for your first and last nights. Be downtown close to the city’s museums and cultural attractions. Biggest news is the Arenal Volcano is puffing out clouds of water vapor, showing renewed signs of life. Stay front and center at the live volcano in luxury with on-site hot springs. You’ll want to get lost forever in this paradise of rainforest and secluded beaches by the renowned Manuel Antonio National Park. Dominical, on the Southern Pacific Coast, is a natural beauty – an oasis of tropical black sand beaches and world-class surfing. It’s Humpback Whale-watching season through October! 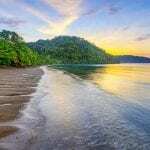 Home to the world-famous Corcovado National Park, the Osa Peninsula is one of the most impressive regions of Costa Rica for its vast protected wilderness areas. Lapa Rios pioneered sustainable tourism in Costa Rica. Long sandy beaches, pristine surf breaks, forest, wildlife, sun, and peace are your companions at Nosara on the Nicoya Peninsula of Guanacaste. 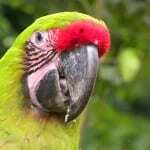 Camino Travel is a fully-licensed incoming tour operator in Costa Rica, with more than 22 years of experience.